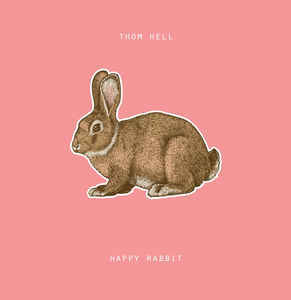 This is the eighth album from Norwegian Thom Hell, and to date he's won three Norwegian Grammys for his work. The album opens with an instrumental, "Grow up", which certainly wouldnt have been my choice to open the album as it really isn't catchy enough to get your interest and make you want to listen to the rest of the album, but it's worth persevering as once you get past that first track things improve dramatically. This is an album with so many influences it's hard to keep track of them - The Beatles, Beach Boys, Blur, Elton John, ELO, 10CC, Pink Floyd and more all spring to mind. Given so many diverse influences then it's no surprise that this is a diverse album. There's a lot of variety but it doesnt feel like a random collection of songs which it could easily have done, but Thom Hell's lovely vocals tie things together enough for it to work as an album. The album feels like Thom Hell has gone through the back catalogues of a load of great artists, found interesting riffs or bits of music and has then woven those bits from different artists together to create a new musical tapestry. It's worked really well as you get the feel of the songs being familiar and also new at the same time. Albums like this are one of the best things about reviewing - finding an album by an artist you've never listened to before and absolutely loving it. An excellent album and one have no hesitation in recommending.